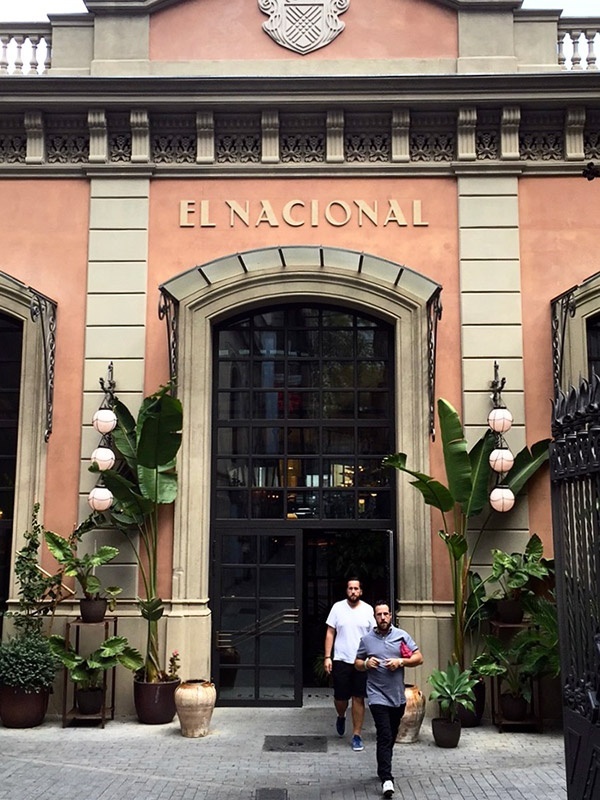 Repeat visits are in order at El Nacional. Photo courtesy of El Nacional. 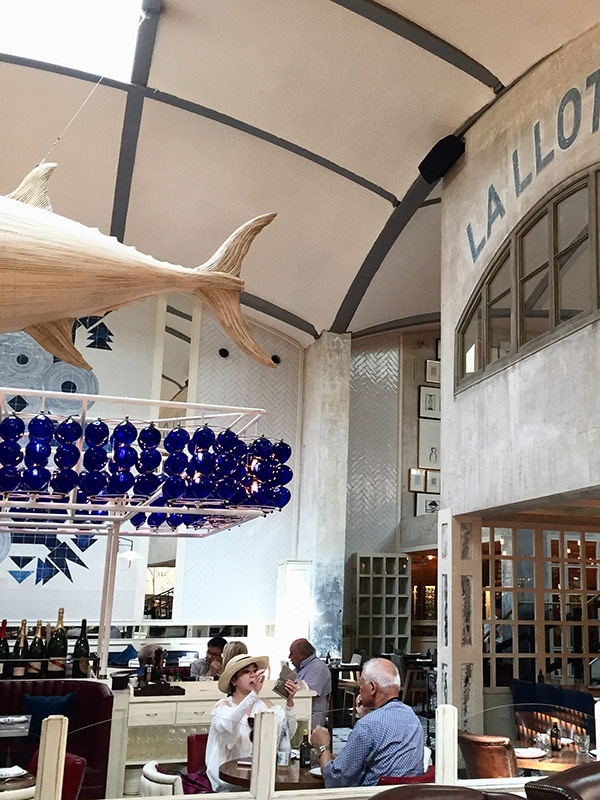 If there's one place every traveler should eat in Barcelona, it's the impossibly chic El Nacional. BARCELONA - There is certainly no shortage whatsoever of good — no, extraordinary — food in Barcelona. I mean, you don't have to try hard to eat well there. But, when faced with an all too fleeting 36 hours in The City of Gaudi, there is something to be said for a place that begs a repeat visit on a limited timeline. So not once, but twice (alright, it might've been three times) I found myself back at . 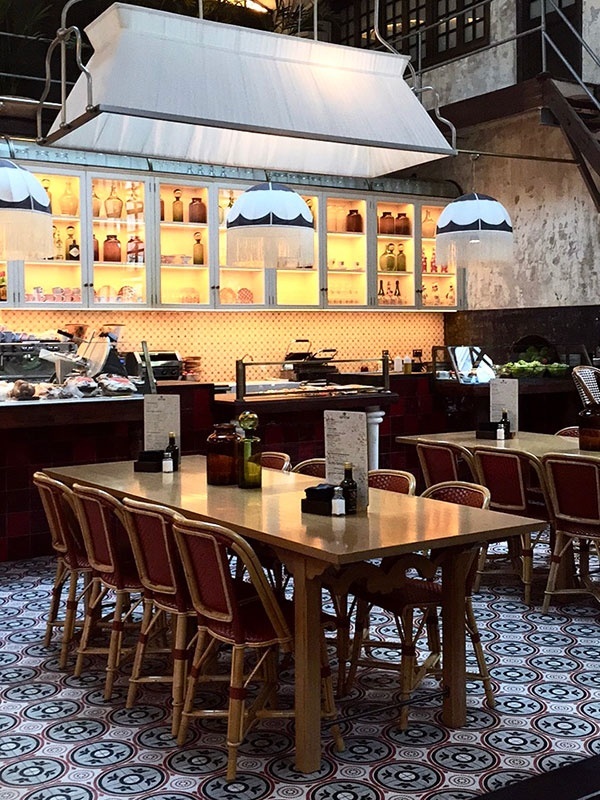 Located in the heart of Eixample — a 'hood defined by Catalan modernism — and tucked just far enough away from the bustling but ritzy Passeig de Gràcia, lies El Nacional: Barcelona's very own, modern-day, food court. The impossibly chic space not only houses four restaurant concepts — (dry-aged, wood-fired meats), (supremely fresh fish and shellfish), (all of the tapas), and (any-time-of-day perfect bites) — but four individually specialized bars, too. The entrance of El Nacional. Photo by Kiira Leess. La Llotja. Photo by Kiira Leess. Oh, and did I mention every square inch of the the place is impeccably designed? Inspired by the San Miguel market in Madrid (and within walking distance of the famed La Boqueria of Barcelona), interior designer Lázaro Rosa Violán transformed the old garage into a design-maven's paradise. Think 8,500 square feet of soaring high ceilings, steel casement windows, modern fixtures, and enough natural light and tilework to convince one to overshare on Instagram. 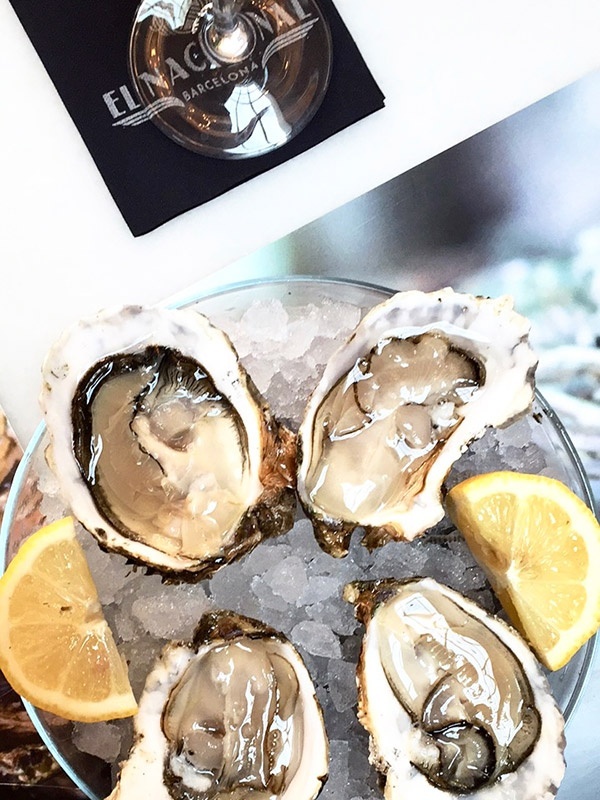 On my first visit, I found myself cozied up to the oyster bar at La Llotja, where I indulged in a few ice, ice, ice cold and brilliantly briny Galician oysters. And to sip while I slurped? A crisp but wonderfully juicy glass of Spanish Rosé Cava. Oysters worth traveling for. Photo by Kiira Leess. La Paradeta. Photo by Kiira Leess. 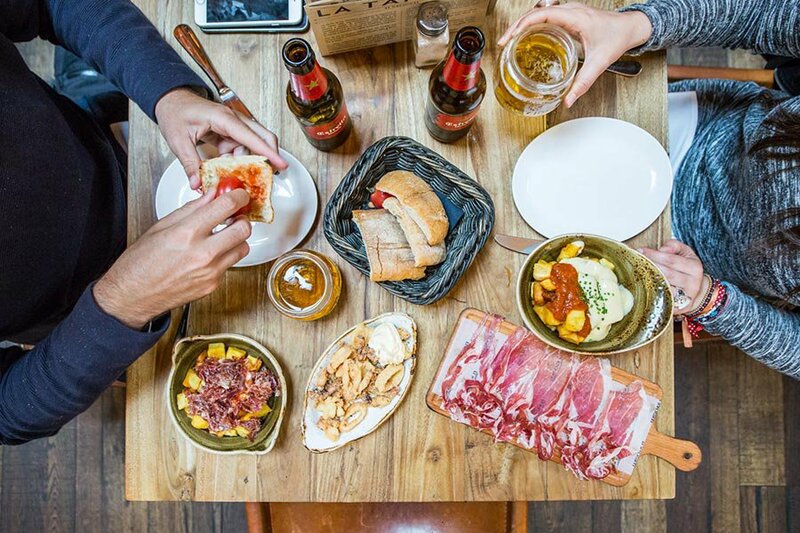 For my "next course," I slinked towards the wine and cured meats bar, where I conservatively nibbled on paper-thin and glistening slices of Ibérico ham and a sharp, hard Basque cheese, alongside some irresistibly fragrant pan con tomate. Putting it all over the top was my (almost irritatingly) perfectly balanced Aperol Spritz. And so (to no one's surprise), I returned after dinner that night, for a good old-fashioned do-over. Now, it's your turn. Do me a favor: Don't snooze (like I did) on the namesake "El Nacional" at the cocktail bar which boasts White Yzaguirre vermouth, cinnamon, sugar, lime, and mint. Along with one of everything else. Kiira is the director of product at , a company that celebrates small-batch artisan cooking ingredients and the people who make them. You can follow her on Instagram at or . She travels for the perfect bite and sip.